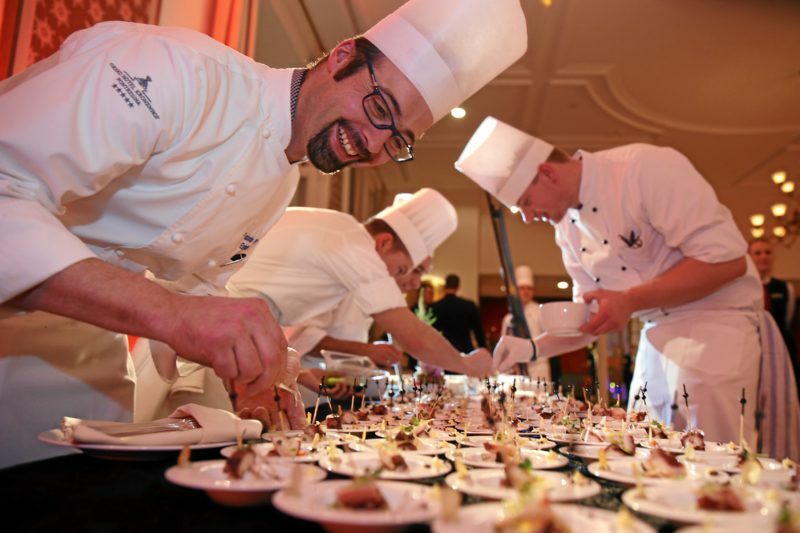 For more than a quarter of a century, the St. Moritz Gourmet Festival has been bringing together selected stars and icons from kitchens all around the world. Visitors can block their calendar for the beginning of the year: From Friday 11th to Saturday 19th January 2019, to enjoy and be a part of delectable preparations by top-level guest chefs, together with the equally distinguished executive chefs at the partner hotels, in front of the sublime backdrop of the snow-clad mountain panorama of the Upper Engadine. This will be followed by six evenings with gourmet dinners and gourmet safaris. In addition, varied special events, tastings, champagne, and wine events provide for surprising culinary delights. At the middle of the festival, the Kitchen Party takes place in the Badrutt’s Palace Hotel as a summit meeting with all nine-star chefs, before the first people from the Upper Engadin say goodbye and hand over the culinary staff to the second guest chef crew. The Great BMW Gourmet Finale will take place at Suvretta House in St. Moritz. The names of the guest chefs and the detailed program will be announced this fall. Advance ticket sales for the event tickets will start in early November. Disclaimer: The Daily Brunch does not hold the rights to the image.